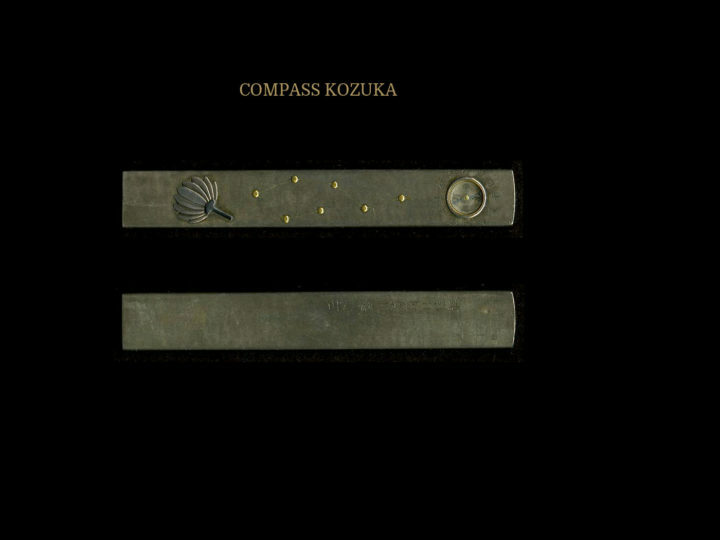 This is a very interesting and unusual Kaga Goto kozuka. 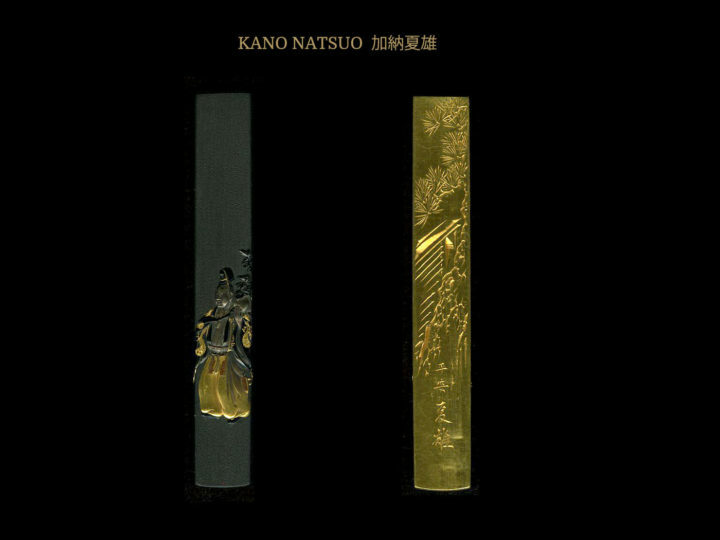 It is done in shakudo nanako with a dragon done in gold and silver. 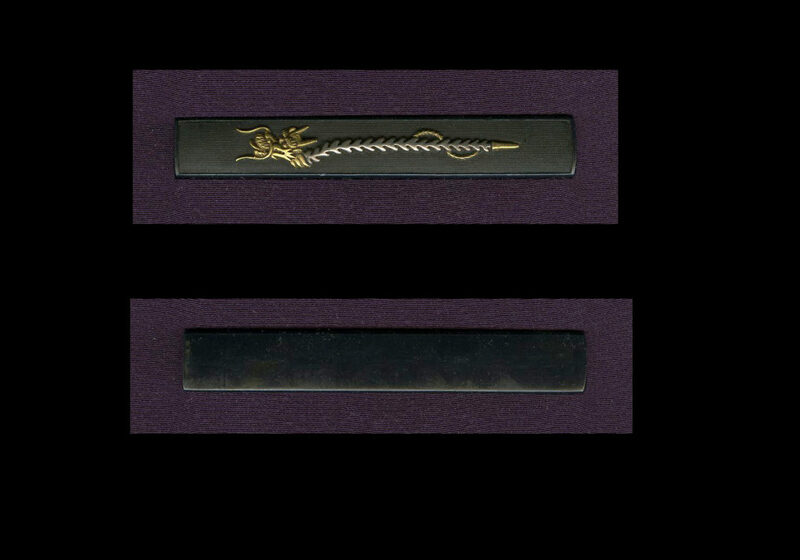 What makes this kozuka unusual is that instead of the common dragon that we most often find, this one is done with the head and tail done in gold but nothing is left of the body but bones that are done in silver. 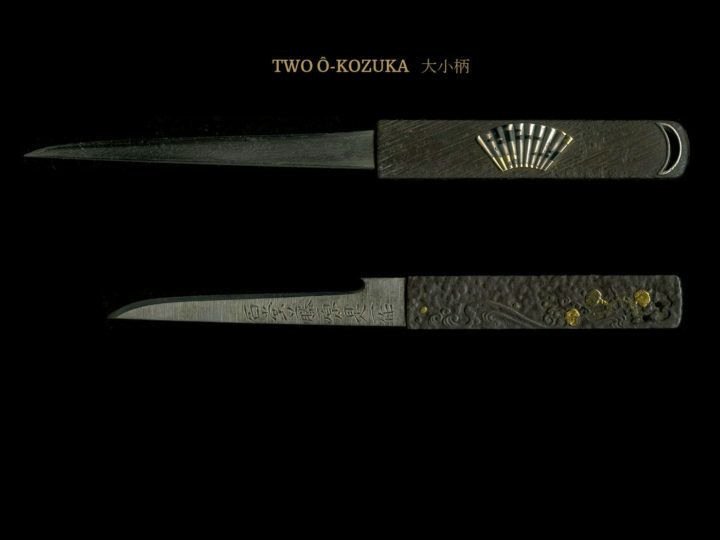 It measures 3 13/16 inches or 9.7 cm by 9/16 inches or 1.5 cm. 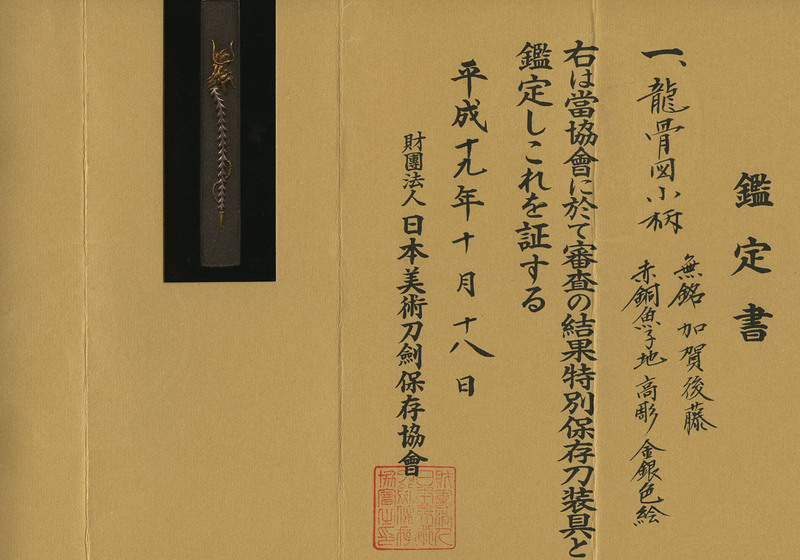 It comes with Tokubetsu Hozon papers attesting to the attribution and the superb quality. 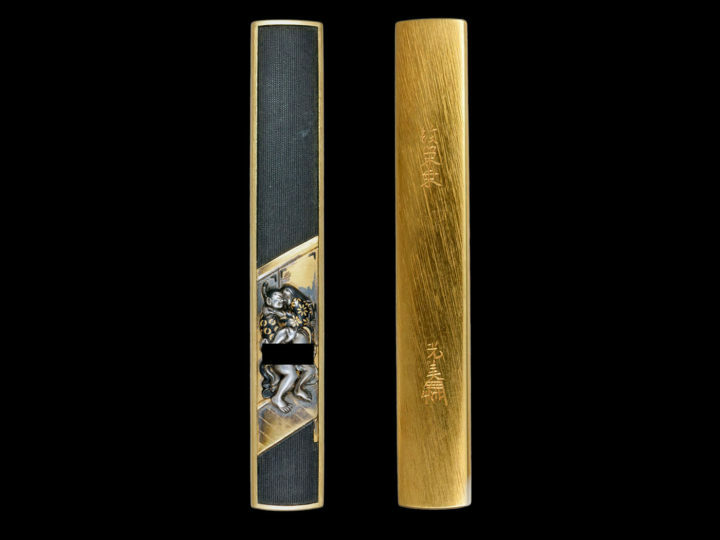 It also comes in a custom made fitted box.